Carrots are in! I know you’ll all be so relieved to hear it but I finally got them planted yesterday. 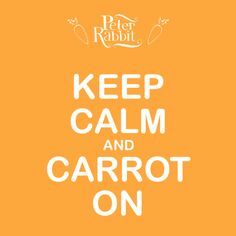 As I type this my thoughts go to my gardening buddy Dan from vegetablurb who always seems to be conducting (and enjoying) different gardening experiments as this year my carrots are a bit of an experiment, too. 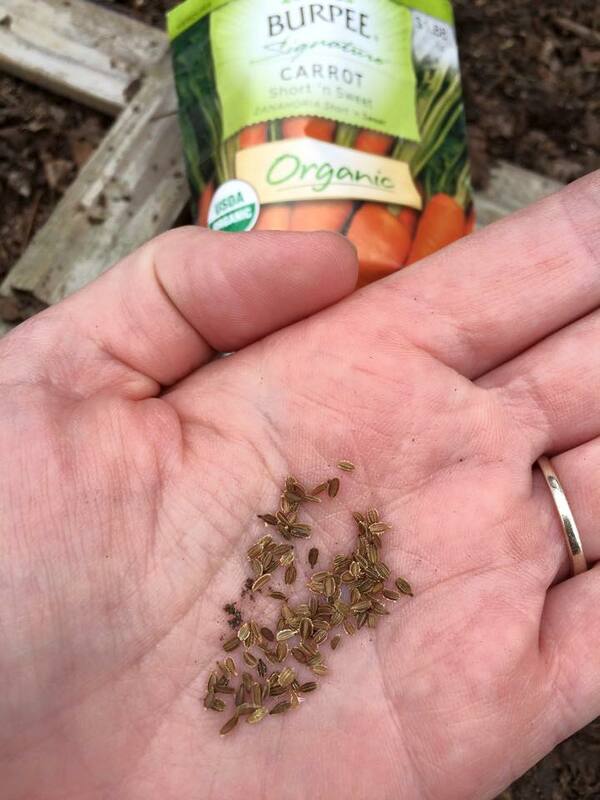 You see, I am totally living on the wild side and am using … technically … expired seeds (audible gasp!!). I know I know. 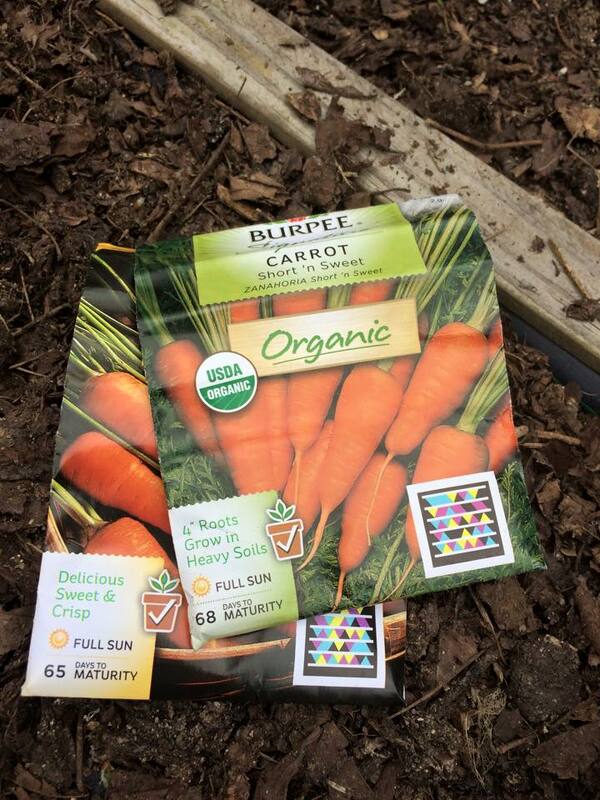 They were supposed to have finished being planted in 2013 but who can use so many teeny carrot seeds that come in the one packet? There must be hundreds and hundreds in there! I know the traditional planting method is to dig a furrow and then sprinkle all of tiny seeds in with the plan to thin 98% out once they grow but I feel like that is just so wasteful, don’t you? And I know a packet of seeds costs just pennies but … I’m not certain that is the point. Waste is waste and we are all supposed to be mindful of minimizing our waste, right? I use the square foot gardening technique where the advice is to plant 2, maybe 3 seeds per hole with a view to eventually thin to one carrot per hole, so we are still thinning 1/2 to 2/3 out but it is far less wasteful than traditional methods. And since I have such a small vege patch my carrot patch is also very small which means I always have lots of seeds left over once planting is done. What to do? In response I have started cold storing my seeds in the fridge – I blogged about that here – and have had much success. Although each year that goes by I feel like it is really just an extension of the experiment. Cold stored seeds waiting for next planting season. Surely there will come a time when germination rates will drop and there will come a point of diminishing returns. My hopes are that won’t be this year. I did add an extra seed per hole as insurance – hehehe. 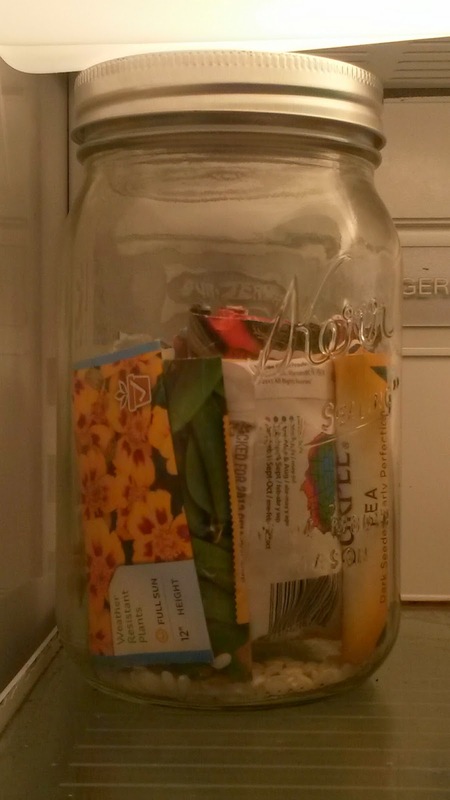 What do you do with your left over seeds? Throw them out and eat the cost? Has anyone else tried storing them year over year? How long will that work? I’m up to my 3rd year running now. Hmmmm. Well thank you for thinking of me while you try unusual things, haha! I think your carrots will be fine. Some seeds are picky about dates (onions for one, I hear). But like you I have a hard time throwing them out. Good luck!